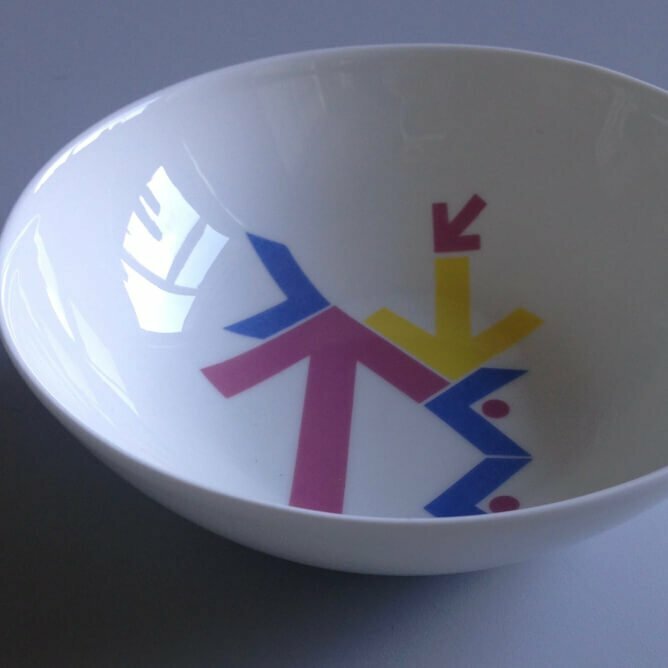 This fine delicate bowl is decorated with hand-cut enamels in vibrant colours. 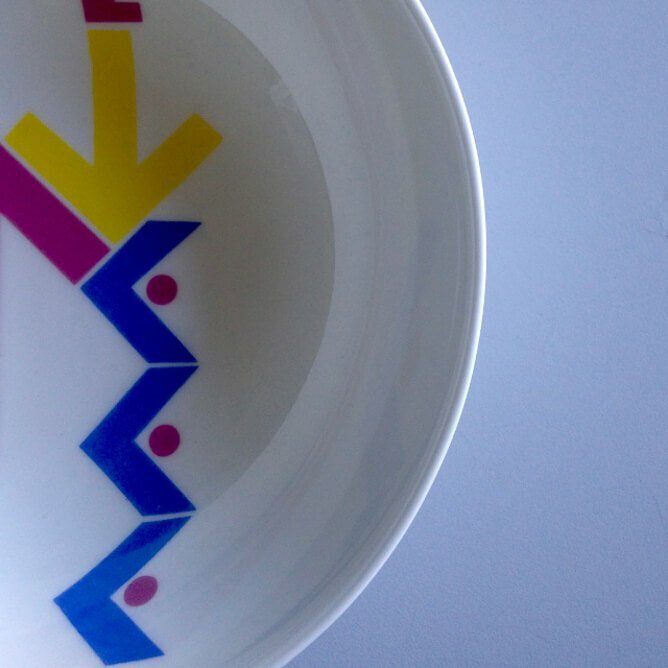 This fine delicate bowl is decorated with hand-cut enamels in vibrant colours. The simple motifs of chevrons and arrows add a contemporary twist to the elegant simplicity of the form. 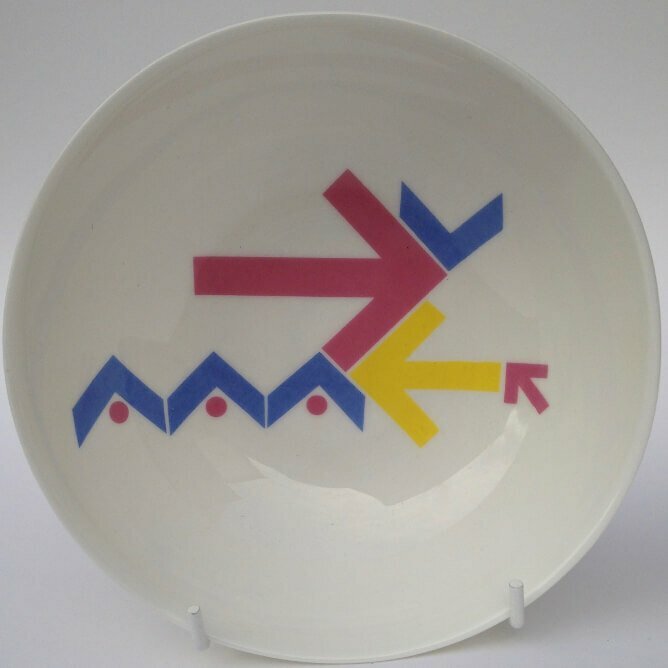 Laura Lightbody uses motifs taken from ephemera sourced from the every-day and produces ceramic compositions, which she applies as surface decoration onto elegant simple forms. This piece is a perfect example of her skill using colour, shape and pattern.